New Zealand Maori rugby league coach Stacey Jones says he can't help but be impressed by playmaker Kalyn Ponga as they prepare to take on the Indigenous All-Stars in Melbourne. Getting his first close-up look at Ponga, Jones can see why the 20-year-old is rated as arguably the best player in the NRL. Ponga will switch from fullback to five-eighth this season at Newcastle, with Friday night's game at AAMI Park his first hit-out. "He's very impressive," Jones said on Monday. 'What you see on the footy field is what he delivered in today's training. "He's got a good voice and it's exciting that we're going to see him play on Friday." Ponga's halves partner is another rookie in 24-year-old Jahrome Hughes, who had spent a few games at the end of Melbourne's 2018 NRL season at halfback but is usually a fullback. Jones has full faith in the untested duo, who will come up against experienced Indigenous pairing, Cody Walker and Tyrone Roberts. "I had a bit to do with Jahrome with the Kiwis (Test) side, even though he didn't play over in the UK," Jones said. "The confidence that he brings to the group - he's not afraid to voice opinion to the players around him - he's good." Jones said preparation had been made easier with many Kiwis players from that Test series against England late last year backing up in the Maori team. 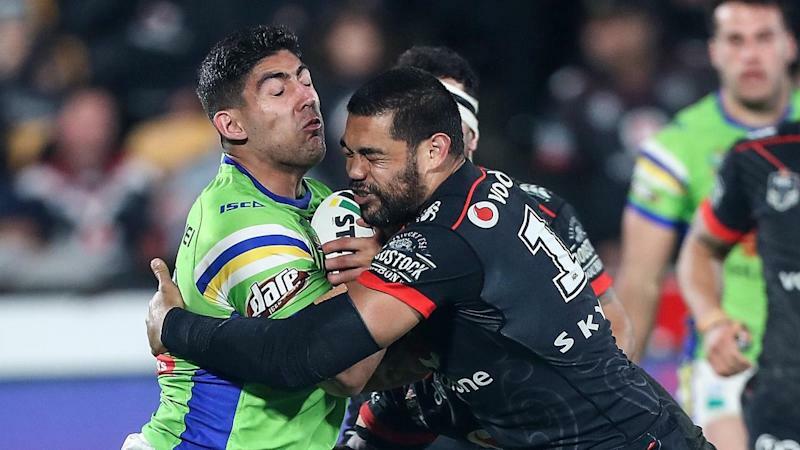 Veteran NRL forward Adam Blair was named captain on Monday with Jones saying he was a "calming influence". "He's a competitor and the players respect him which is all the things you look for in a captain," Jones said. Blair is part of a formidable Maori pack including brothers Jesse and Kenny Bromwich, James Tamou, Tohu Harris and Kevin Proctor. "We know we've got a very strong forward pack and we know that games are won and lost in the job up front but we also know that they've got some really good players too. "Out wide, they've got a lot of speed."